SOFIA, Bulgaria — Delyan Peevski’s mother used to head the national lottery and leads a growing media empire with strong political and economic connections in this small, impoverished and notoriously corrupt Balkan nation. So perhaps it was not surprising that the appointment of Mr. Peevski, 32, to head the powerful State Agency for National Security sparked protests that have been attended by thousands every day over the past two weeks and show no sign of losing steam. 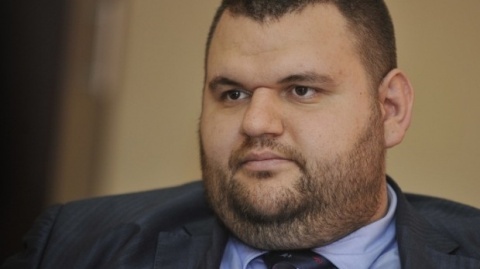 Mr. Peevski, whose political and business career started at the tender age of 21 — when in his second year at law school he became head of Bulgaria’s large Black Sea port at Varna — resigned just a day after his appointment on June 14. But for opponents of the Socialist-led government that appointed him, the die was cast. The shaky government, itself a product of elections held after popular protests last winter forced its predecessors from office, has not recovered. Speculation is rampant that it, too, will resign, bringing further instability to the poorest nation in the 27-country European Union. Many Bulgarians are outraged that a figure like Mr. Peevski was placed in a sensitive state position in charge of fighting the most serious crimes, a job that includes access to classified information and the power to order arrests and wiretaps. “If you read the biography of Peevski, he personifies all the problems of Bulgaria,” Pavel Antonov, 40, said at a recent protest, referring to corruption, nepotism, organized crime and the abuse of state power. In his defense, Mr. Peevski released a letter to the news media after he resigned, accusing the previous government of orchestrating opposition to his appointment to fend off “the inevitable disclosures” by the new administration. “For me, power is not a goal in itself,” he wrote. Officials from the previous government had criminal origins and were running scared, he charged. “This is why they took the road of destruction and singled me out, because they know that I am a person capable of opposing them efficiently,” he wrote. Mr. Peevski declined to comment to the International Herald Tribune, as did his political party, the Movement for Rights and Freedoms, or M.R.F. After law school, Mr. Peevski became at age 25 deputy minister of disaster management policy. The prime minister fired him after a media scandal and allegations of corruption. While prosecutors started an investigation into possible abuse of office, no charges were ever brought. (The European Commission has long criticized Bulgaria for failing to prosecute a single high-level public official.) At 28, Mr. Peevski was elected to his first term as a deputy in Parliament. Mr. Peevski helps run his mother’s media empire, which includes roughly 40 percent of the print market in Bulgaria, the biggest printing press in the country, the fourth-largest television broadcaster, the distribution company for about 80 percent of the country’s newspapers and many other media outlets, according to industry watchers. While Mr. Peevski owns no companies, according to the Bulgarian commercial register, his mother, Irena Krusteva, the former head of the national lottery, has a role in dozens of media companies. According to Mr. Peevski’s 2011 financial declaration, required for those who hold public office, he had about €30,000, or $39,000, in a bank account and no other wealth or property to declare. He was absent from 92 percent of legislative sessions from 2009 to 2013 and never proposed any legislation or asked ministers any questions, according to parliamentary records. Mr. Peevski and his mother are tied to the economic group around Corporate Commercial Bank, whose assets are valued at some €5 billion. A week before Mr. Peevski was elected to his security post by the Parliament, the law for the position was changed in an apparent attempt to qualify him despite no intelligence experience and just seven months in the state investigation service. Deputies from the Bulgarian Socialist Party were informed of Mr. Peevski’s candidacy only 30 minutes before they were pressed to vote for him, said Georgi Kadiev, one of four Socialist lawmakers who abstained. A former reporter who worked for Mr. Peevski said that his employer seemed to understand the paper where he worked only as a business valuable for pressuring foes. The reporter, who insisted on anonymity for fear of repercussions in Bulgaria’s small media industry, said however that Mr. Peevski, surrounded by up to 20 bodyguards, was an efficient manager who frequently picked up the tab for entertainment and made an impression. Haralan Alexandrov, a social anthropologist at New Bulgarian University, said one factor feeding the angry public opposition to Mr. Peevski as security chief was that he represents “a very old and well-established image from the collective subconscious: the evil capitalist.” His beefy physique feeds the resemblance to “the exploiter capitalist” of old Communist-era cartoons, Mr. Alexandrov said.